He was definitely onto something. With any endeavor, you have two choices: leave things to chance, or make plans. But leaving things to chance probably won’t give you the outcome you’re looking for. Success rarely happens when opportunity knocks, but rather when opportunity and preparedness meet. And these days, there’s no better tool to help you to get where you want to be than creating a cold email campaign. Pound for pound, nothing delivers better results. As you plan your cold email campaign, it’s best to follow a tried-and-true recipe for success, one that emphasizes that you’re messaging people; people who have real needs and real pain points. Tapping into what they care about and providing value is what’s going to get you results. Before we get into the great tips from Sujan, we wanted to take a moment and let you know that LeadFuze fully integrates with Mailshake! Here’s a link to the announcement post which has detailed instructions on how to get it all set up. Now, back to Sujan’s 6 elements of a good cold email campaign. The best cold emails won’t have any effect if you’re not sending them to the right people. You’ve got to identify the right prospects based on industry, geography, budget, size, and more. Building a rock-solid cold email campaign outreach list isn’t easy, but it is necessary. In fact, 40% of sales reps say that prospecting is the most challenging part of their job. Rather than combing through LinkedIn profiles one by one, you should enlist software to automate the assembly process for you. LeadFuze, for example, searches for leads in specific industries and roles, that use certain software, that spend on Adwords, who are hiring, and more. Then you can export that data as names, phone numbers, emails, and social media profiles so you can focus more on your campaign. Customer.io found that personalized emails had 29% higher open rates and 41% higher click rates than emails without any personalization. With stats like that, you can’t afford not to personalize. In fact, unless you’re sending out thousands of emails a week, you should take the time to personalize each one, even if it’s just a sentence or two. In a perfect world, you’d highlight mutual connections to catapult your credibility, but simple tactics like using the prospect’s name, company name, or personal details can go a long way toward building rapport. Flattery, sharing useful relevant content, and connecting people are also ways to level up the impact of your email. 47% of emails are opened or discarded based solely on their subject line, so take extra time to make sure it’s interesting, short, personalized, conversational, and not spammy. Ditch the introduction. They don’t care about you or your company. They care about what you can do for them. If they want more, they’ll look at your signature line to get context. Instead, focus on stoking curiosity, providing value or social proof, and doing your best to avoid looking too pushy or salesy. Be sure to keep it short (4-5 sentences max) and make sure every word and sentence persuades your reader to move on to the next one. End strong with a low-friction ask and make it easy for them to respond. Either tell them exactly what you want them to do, or set up the email in a way that gains their permission to continue the conversation. Whatever you do, don’t jump the gun asking for a 15-minute meeting on the first email. Getting a response is step one. Then a phone call might be the next logical step. People will inevitably be curious about who you are, so be sure to link to relevant content. It’s all about building credibility and establishing trust, so links to your website, talks you’ve given, recent articles or awards, and active social media profiles go a long way. The best time to send email is whenever there is less competition. The best day to send email is Tuesday, and the best time to send an email is between 8am-10am, and 3pm-4pm. Since people are typically most responsive early in the morning and later in the evening, try to fit your campaign into that window. Leverage a tool like Mailshake to automate the process around the perfect schedule. If this isn’t possible for whatever reason, strive to follow up during those times to maximize the possibility of getting your email read and responded to. Download Grammarly to find complex writing errors that spellcheck typically misses. Ask yourself if each section adds value or clarity as you read. If it doesn’t, delete it. You don’t have much time to make an impression, so cutting the fluff is a quick win for everyone. Walk away and put some distance between your first and second drafts. A day is best, but even just a few hours can make a difference. Create a cold email checklist to lessen the chances of forgetting something or making mistakes. Read your email out loud at least once. This makes it much easier to identify any confusing parts of your email. Sending your first cold email is just the beginning. 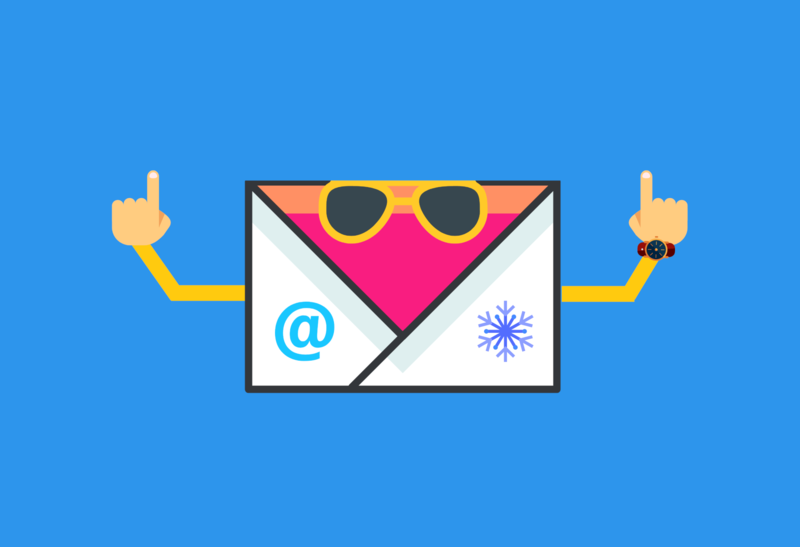 Cold email campaigns should have a consistent follow-up schedule, and ideally include an omni-channel approach of cold email automated follow-ups, cold calls, and social media engagement. That way you can spread out your touches and come off less spammy and salesy. Your cold email campaigns are fluid and never truly complete. You can optimize and tweak for years and still have room for improvement. Relentlessly testing and improving is the name of the game. Measure your open rate, response rate, sales generated, and more. Strike a balance between effective email templates and personalized emails. Finally, remember that cold email isn’t about selling – it’s about building connections. Initiate a conversation and build on it until you’ve shown enough value to earn the sale.